EXAMPLE: For a single leg sling with standard loop one end, eye hook other end, with rated capacity of 3.8 tons vertical; 12 ft. long. ORDER: One — 1/4″ size Type 41-1-3,12 ft. long. 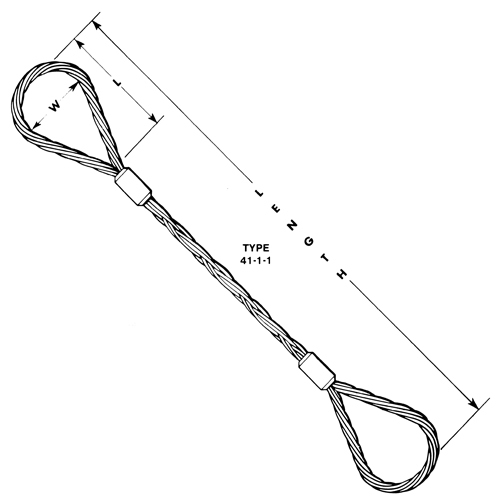 Single-leg 8 Part-Braided Slings are used where extra flexibility and handling ease are required. They will not spin under load and are free from crankiness.